The joy of…half bottles of fizz. This weekend I had a great excuse for drinking champagne. I have finally exchanged contracts on the flat I am selling. No one pretends that buying and selling property is a stress-free process so let’s just say that I feel I earned this particular glass of fizz. Ten times over. No, make that 100 times over. Probably, given the state I was in by Saturday night, anything would have done – meths, bubbled with a bicycle pump, say. 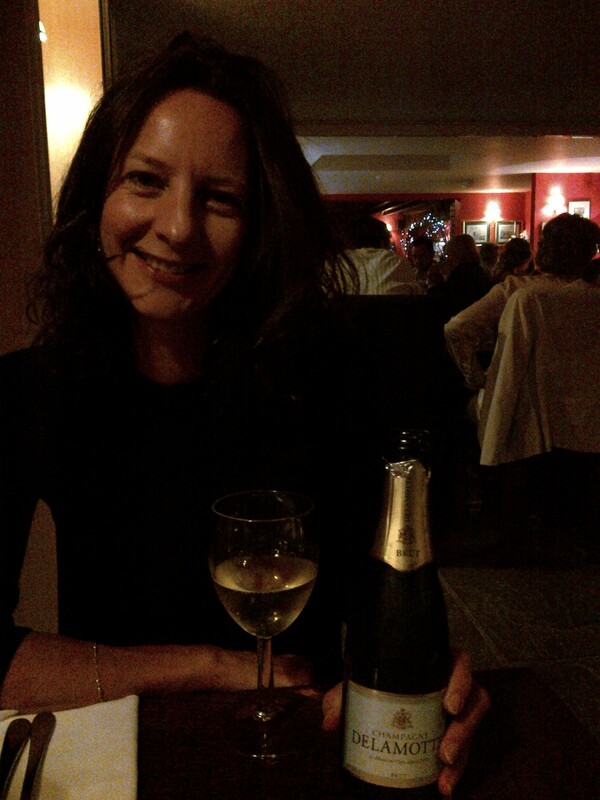 But I was very happy to find myself in a pub that sold a champagne called Delamotte – and for a really good price considering the mark-ups you usually find when eating out. Delamotte, a sister to the famous Salon, isn’t a champagne you see very often. Classy, creamy-textured and refined. And I only paid £20- in a pub – for the half-bottle which considering it costs £14.50 to buy as an ordinary customer direct from Corney & Barrow seemed a pretty good deal to me. Also, I love half bottles of fizz. There should be more of them. Generally, and also in my life. It’s just right if you want a teeny tiny little taste. Also, it’s easier to justify opening one than it is to pop open a full-sizer. Waitrose sell their excellent Brut NV champagne in halves for £10.99 which sounds like a lot until you consider that it costs about the same to buy two rubbish glasses of pinot grigio in the pub. And I know which I’d rather have.